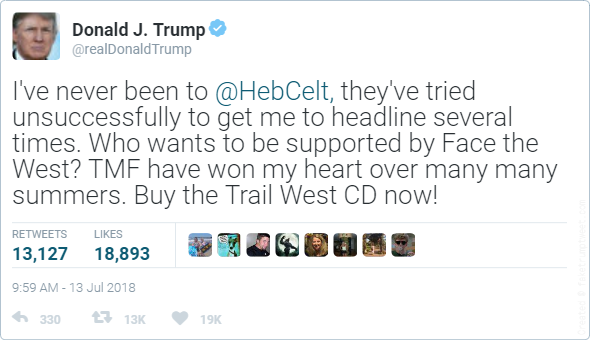 FakeTrumpTweet.com - I've never been to @HebCelt, they've tried unsuccessfully to get me to headline several times. Who wants to be supported by Face the West? TMF have won my heart over many many summers. Buy the Trail West CD now!